Is Your Content Marketing Competitive? 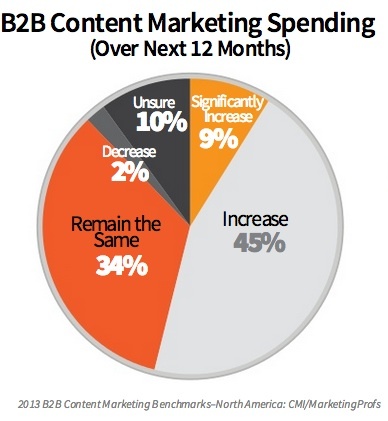 Content marketing, the provision of high quality, relevant and valuable information that’s not promotional,continues to gain traction particularly among B2B marketers. 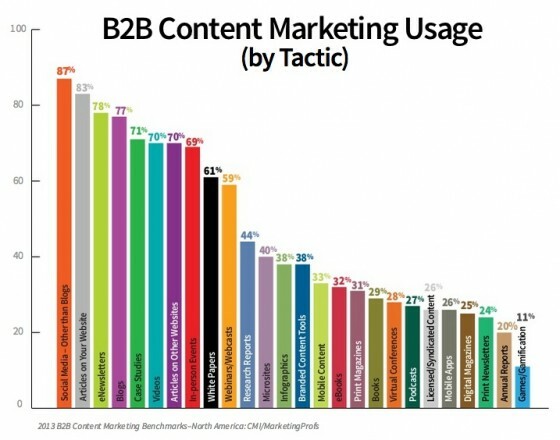 91% of B2B marketers use content marketing according to recent research by Content Marketing Institute and Marketing Profs. 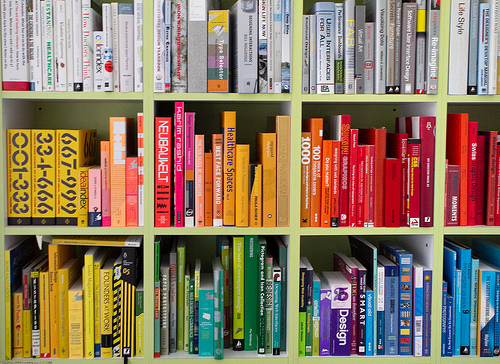 For many of these marketers, the use of content marketing isn’t a change in strategic focus. Rather it’s a shift in how they’re using social media and the types of content used. 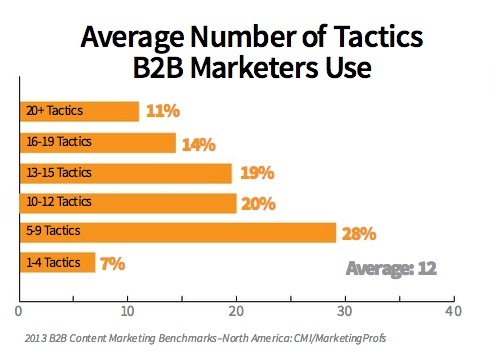 B2B marketers choose from at least twenty-six forms or tactics. Top of the list are social media, articles on their own website, enewsletters and blogs. This makes sense since these are information dense pieces that provide product details, customer input, current news and show how to use products and services. Interestingly, social media (excluding blogs) was the top format used. Its benefit is that it allows for social sharing and engagement. During 2012, marketers increased their use of research, videos, mobile content and virtual conferences. This makes sense in light of the increased use of smartphones and tablets and the related change in content consumption. 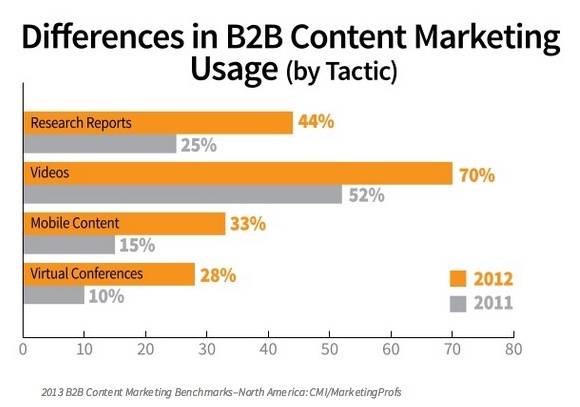 Most B2B marketers target their content marketing in one or more ways. Since a good proportion of the tactics marketers currently use have been part of their mix for a while, it’s not surprising that marketers have become more adept at increasing their content’s effectiveness. Interestingly, marketers are doing more of what they’ve found successful in the past, namely targeting their content to specific decision makers, types of companies and stage in the purchase process. Marketers are investing in content marketing. On average, they’re dedicating about a third of their marketing budget to content marketing. This is an increase from 26% last year. It’s higher for smaller companies which tend to have more limited resources while larger organizations have a more diversified marketing spend. 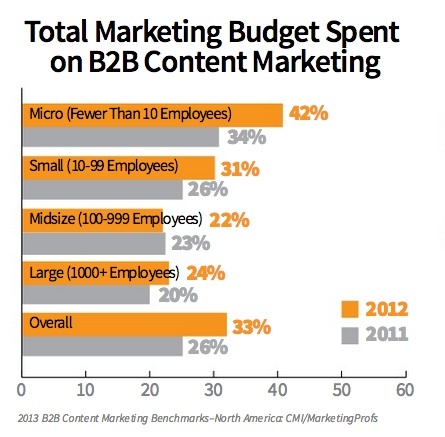 Further over 50% of B2B marketers plan to increase their content marketing budgets in 2013. Another third of respondents will keep their spending stable with 2013. Internal content marketing resources are increasing. 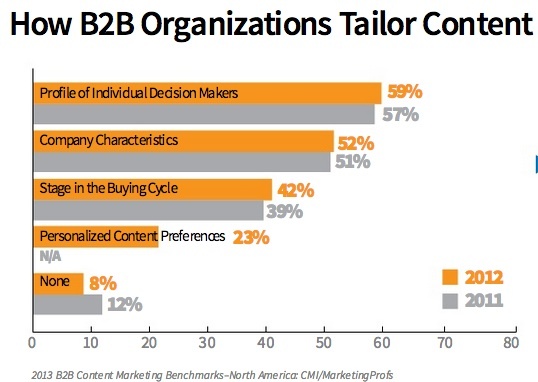 Across companies, about two-thirds create content marketing in-house. Outsourcing has decreased across various sized organizations. 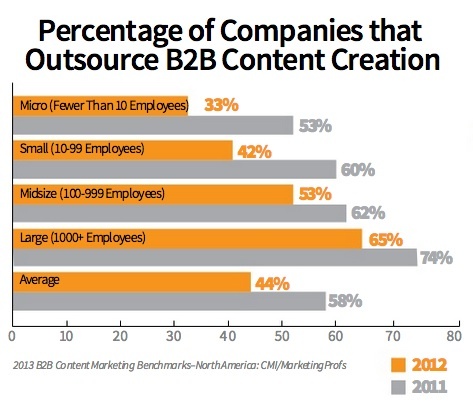 Interestingly, a third of entrepreneurs outsource their content creation while two thirds of large organizations outsource their content marketing. To ensure your content marketing is both effective and competitive, use these tactics to guide your marketing mix and usage. What other tactics have you found to be effective and why? 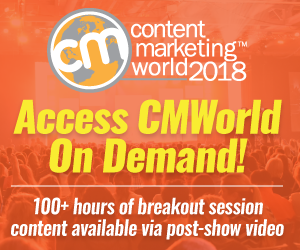 Hat tip to Joe Pulizzi of Content Marketing Institute and Ann Hanley of Marketing Profs for this useful content marketing research. Tags Content Marketing Institute, MarketingProfs, Research. Bookmark the permalink. For B2B creating quality white papers works also very well. You can grant access to the white paper in exchange for an email, a tweet or a like. 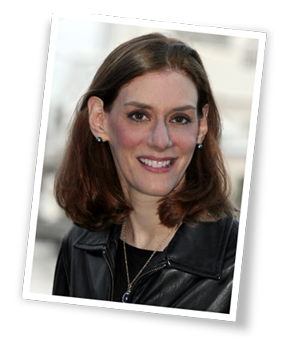 Thanks Heidi for this tip for content marketing matrix. I absolutely agree that this kind of tactics will be a big help in every businesses online.